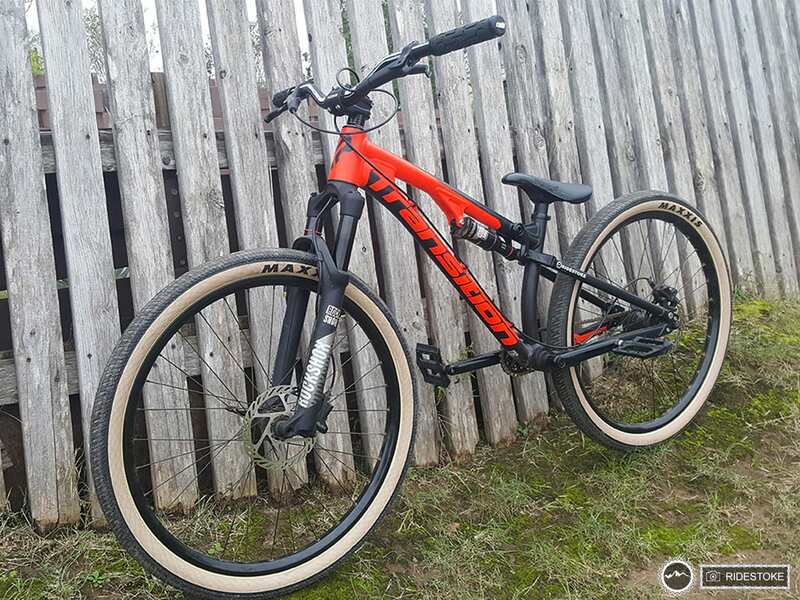 Designed to take the sting out of drops and landing jumps, the Transition Triple Slopestyle is a purebred 100mm Slopestyle bike. Transition released the Triple on February 16, 2016. This is the third bike to leave the Transition Bikes headquarters, so call it the Triple Triple. 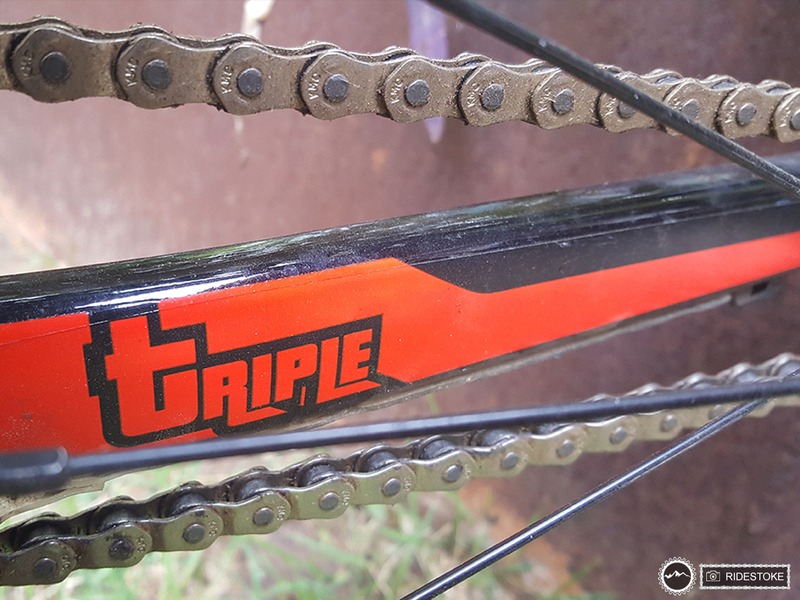 The Triple lives up to its predecessor, the Transition Double, which was far ahead of its time. 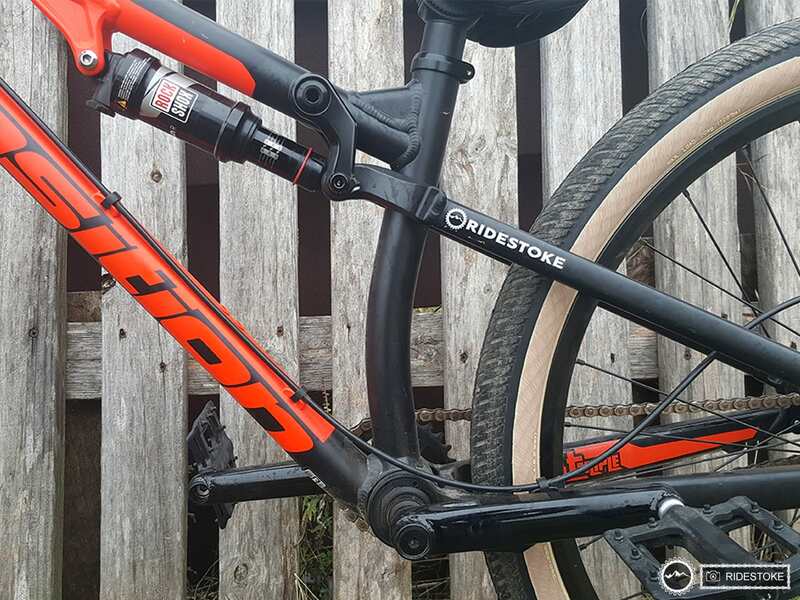 The short 390mm chain stays were noticeable when shredding laps on the pump track, as the Triple’s performance was reminiscent of a hard tail. Easy to pump through the rollers and berms. Check out the RideStoke Triple Gallery for more of the Triple. Dropping in from the Pump Track roll-in deck and hitting the first berm, the stability of the Triple was noticeable and the performance was reminiscent of a hard tail. 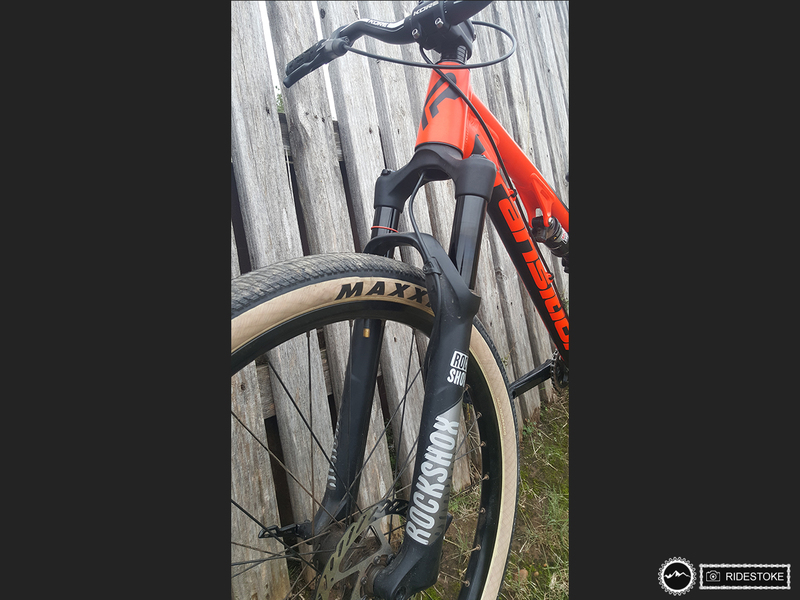 The frame’s concentric bottom bracket and ultra short 390mm chain stays make a huge difference in being able to generate a ton of speed pumping through the track. The 100mm of travel came in handy to soak up the wall rides and tracked well through the berms and rollers on this track. The Monarch did well with keeping the back tire planted on the wall beginning to end. The Triple’s stability lends a hand through the dirt jump lines with sure footed landings, and easy to let it fly. The Triple requires little effort to quickly gain altitude off of the top of the lip, and is easily maneuverable up in the air. This is where the ultra progressive leverage rate curve is noticeable. Running the Triple in the Single Speed setup, we noticed a knocking sound coming from the chain hitting the frame. Insuring the chain was tight, and laying down some Shelter to cover the cable routing mount on the bottom of the chainstay, the knocking disappeared. We setup the Triple with ~20% sag. The 100mm suspension is very active and was easy to match front and back. The concentric bottom bracket pivot allowed for zero chain growth without a chain tensioner on this single speed setup. The Triple comes with an updated geometry and one size fits all.